When you click Step3 you will see a little table of all the web pages in your website. 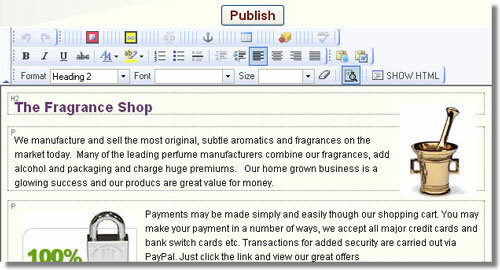 Making a business website is now much easier. The content shown below is no longer valid as the systems that we use have been impoved and new DotGO software allows you to do so much more than before. 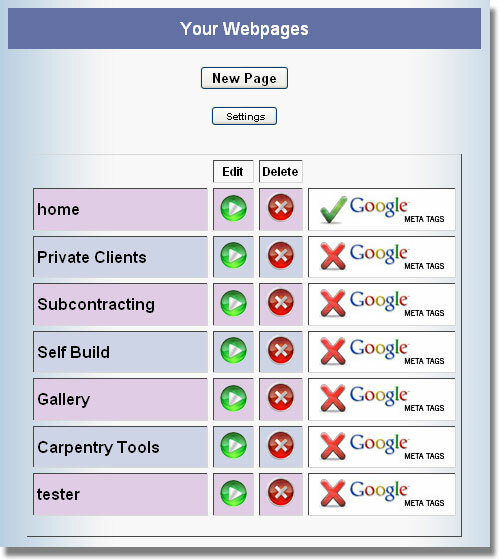 Your website is made up of a number of webpages. The most important webpage is the HOME page. Your home page will always be shown at the top of this table and will never be able to delete it. To create your first new webpage you simply click the NEW WEBPAGE button at the top of the page (shown above). The system will ask you for the layout you want and then offer you a chance to start editing the page or see the list of all your webpages. When you choose to edit you page you be able to modify your content using an editor that looks similar to an icon toolbar used by popular software programs such as Microsoft Word. The content that appears in the window is fully editable and as soon as you click [SAVE] your content is uploaded to our servers and the changes take effect instantly.